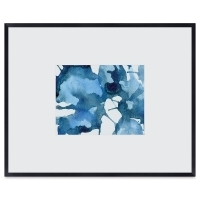 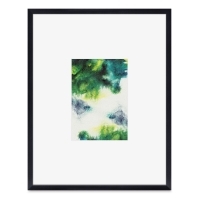 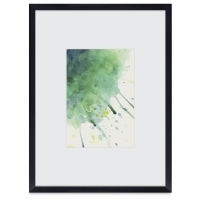 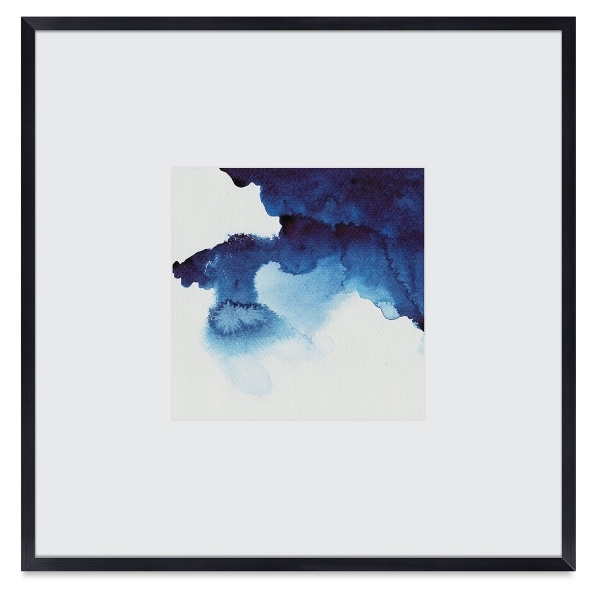 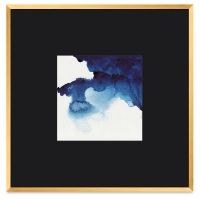 These ready-to-hang-frames arrive beautifully matted and outfitted with an engaging piece of abstract art. 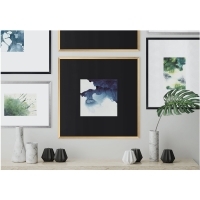 Hang and display right away, or replace the art with your own favorite photo, sketch, or painting. 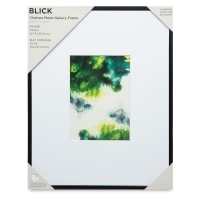 The Blick Chelsea Metal Gallery Frame features a modern gallery-style profile in three matte finishes. 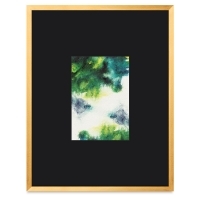 Choose Black, Gold, or Silver (the 16" × 20" frame is only available in Black). 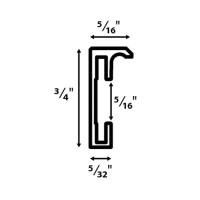 Templates are included for easy vertical or horizontal hanging. 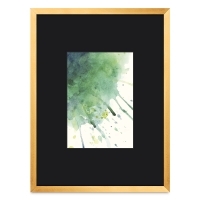 The 9" × 12" frame also has an easel back. 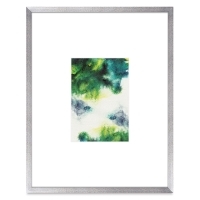 Also included are a glass face and hanging hardware. 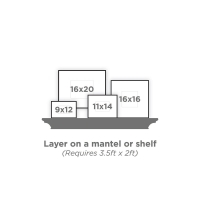 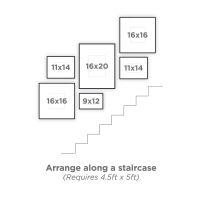 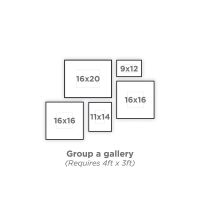 When using the mat, the 9" × 12" accommodates 5" × 7" artwork, the 11" × 14" accommodates 5" × 7" artwork, the 16" × 16" accommodates 8" × 8" artwork, and the 16" × 20" accommodates 8" × 10" artwork.